Sometimes when you first meet someone you immediately sense a positive vibe, energy and preference for helping and reaching out to others. This happened to me today within a few seconds of my meeting Shelly Sanchez Terrell, my guest today. Shelly is an instructional designer by day, and a connector by night. Actually she might connect during the day too. She connects with people through her workshops, keynotes, and online work at 30Goals.com and EdSpeakers.com. In addition she runs a bunch of other activities such as the Twitter EdChat and beyond. Too many to cover in one show! 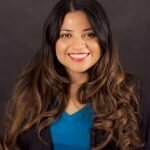 Shelly Sanchez Terrell is the author of The 30 Goals Challenge for Teachers, Learning to Go, and TeacherRebootCamp.com and the founder of #Edchat and Edspeakers, a community of educators dedicated to diversifying the voices in education. She has trained teachers and taught learners in over 20 countries and named Woman of the Year by Star Jone’s National Association of Professional Women.